As a teacher thinking about when you should retire, you have a lot to consider. In this guide, we cover the essentials so you can determine when to retire from teaching and how to make your retirement meaningful. 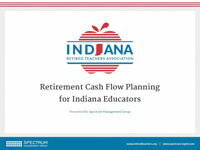 We want to provide you with an overview of the procedures of the Indiana State Teachers Retirement Fund (ISTRF), as well as the personal and emotional considerations involved in retiring from such a meaningful and important profession. We at the Indiana Retired Teachers Association (IRTA) are committed to assisting active educators in making informed retirement decisions. We work to protect retirement benefits and to improve retirement benefits of all retired teachers. How Early Should You Retire From Teaching? Our free Educator's Guide to Retiring with Purpose is a detailed guide on benefits, social security, and savings plans for teachers. 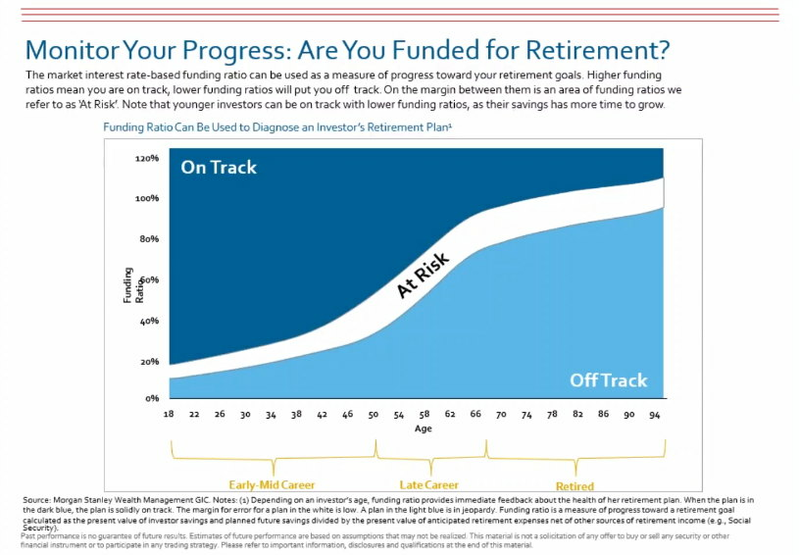 How early should I retire? How much ISTRF and Social Security income will I have? What other sources of income, in addition to my ISTRF and Social Security income, will I have (savings, deferred compensation, IRA’s, etc.)? Have I given consideration to my leisure time and volunteer activities during retirement? Medical insurance coverage until the age of 65. Medicare coverage and insurance after age of 65. Most teachers work hard throughout the school year for a modest salary, and many take on part-time jobs in the summer or seasonal work in between. It's hard to make those dollars stretch to cover expenses and bills, let alone save money toward retirement. The answer? Best not to hide your head in the sand and ignore the situation. You can do more than you think possible if you make a plan and start doing what you can TODAY to make sure you have enough to last you through retirement. We're not going to tell you how to spend your money or how to pinch pennies. Rather, we have some practical financial wisdom from professionals from Morgan Stanley who presented a webcast on this topic earlier this summer. You can see the entire webcast here. One way to take meaningful action on these challenges is to join an advocacy group, like the IRTA. We advocate for teachers' benefits and retirement plans. If you aren't already a member, join today! Learn more about IRTA Member Benefits here. It's good to know when you are eligible to receive pension benefits, but this doesn't necessarily mean you'll want to retire as soon as you are eligible. Many financial, personal, emotional, physical factors should be considered in your decision. We will get to those. First, let's look at the nuts of bolts of retirement benefits. and other In Indiana, according to the INPRS, when you have at least 10 years of service in a TRF- or PERF-covered position, you are considered vested. This means you qualify to receive a monthly pension benefit, once you meet age and service requirements. If you meet the age and service requirements for regular retirement, you will have a few payment options. All current benefits and retirement details can be found here on the INPRS website. The question is when should I retire. The regular retirement information above shows when you can retire with full retirement benefits, but what happens if you want to retire early? You can retire early, but you will receive a reduced amount of your normal annual pension benefit. It's important to know that you will receive this smaller amount for life. So, the question "when should I retire" depends on many factors, but age and years of service play a key role on when you can retire with full benefits. You can retire early, but you won't get full benefits. You must be between age 50 to 59 to retire early. You must also have at least 15 years of service credit. See the table below to find out how much less money you will receive if you retire early. 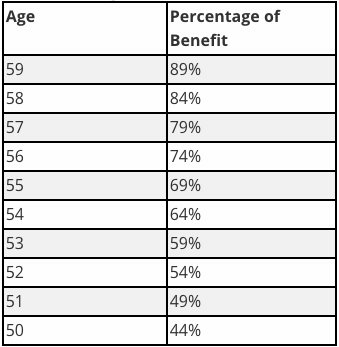 At 59, you get 89% of your benefits, but at age 50 you only get 44%. That is a significant difference. When you retire, you will be able to select one of six options for your monthly pension benefit and you can see all of your options here. It is a good idea to consult with a financial advisor to discuss the best option for you. Do you want to include a beneficiary? Do you want Social Security Integration as an option? One of the biggest factors in your decision to retire will be how much income you can expect. If you have planned properly, your financial picture should be clear for your post-retirement years. But what about your emotional needs? Have you thought about the psychological impact of ending your career? Discover your new purpose. We are programmed to contribute to society. You became a teacher because you care about others. Sometimes, new retirees see themselves as no longer useful. Fuel your passion to help others by volunteering. Research and advocate for a cause that makes a difference in your community. If you find yourself struggling, contact a counselor who can help you process your feelings and help you get involved. 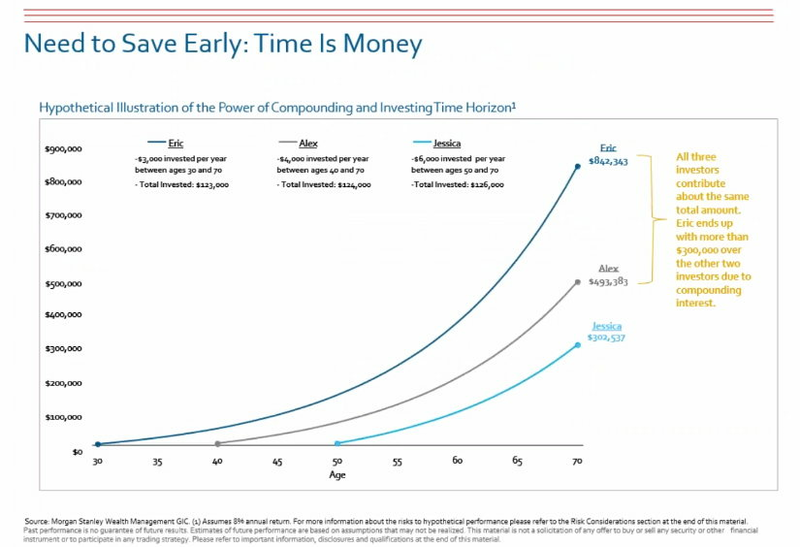 The quality of your retirement years will depend on how much time you invest in it. Life can be as exciting and rewarding as those days in your classroom.